Nancy DeMoss Wolgemuth: You’ve started a ministry that came about after the loss of your mother. First of all, just tell us about losing your mother when she was ninety years of age, because I know she was a very important person in your life. Sue: She was a very important person in my life, but you have to realize that for a woman that is my mother, that is my speech therapist, that is my teacher, that’s with me 24/7 with lip reading, there is a tremendous bond and forging of the relationship. Something happens when you get a daughter, going through adolescence, then teenager, but basically wants to start flying, but basically a mother just wants to hold on. So there’s this tightness where the struggle begins as far as me trying to break away from that total dependency with a mother hanging on. So what was once a mother that was my best friend, that was my everything, became my worst nightmare. We had years of that. It began as far as me trying to break away from that total dependency with a mother hanging on. It was even known in the story with my family that if anything happened to my father, if I knew that my mother and I could never come together, it was haunting. I came home for my father’s eighty-third birthday, and I knew that they had to find a different dwelling. Dad announced that he was moving in with me, Mom and Dad were going to move in with me. I’m thinking, Okay, we have to find a two-dwelling place where it’s up and down with them. I lost my dad a month before I moved in, so now I’m living alone with my mother. God did an incredible work in my life the seven years I had with my mother. Oh, He gave us such a story! I know mothers and daughters go through this, where they’re enemies, then they’re close, and then they go through this whole circle. But the last seven years of my mother’s life that she was with me, there was a tremendous healing process. During the course of those next months, each day was one of praise and thanks. The woman that taught me so much about music, the last month I had hymns playing twenty-four hours around the clock of our home. My mother passed in my arms with praise and with the rest for which she had to leave so much during her lifetime. I am what I am because of my mom, the lessons that she taught me, the lessons that were learned from mistakes. I learned by her teaching. They could have sent me away, Nancy. They could have put me in an institution. But that wasn’t part of God’s script for my life. He gave me a mother that was even stronger than I was. Nancy: So your mom went to heaven, and then the next Christmas, your first Christmas without her, was a hard one. Sue: Oh, it was. I knew I couldn’t stay in the house. I didn’t know where I was going, but God took care of that. Around Thanksgiving I went to see a play where the actresses’ husband was starring in Cleveland, Ohio. Nancy: The actress who played Sue Thomas in the TV show. So each year now for the last thirteen years, we travel to Washington, D.C. I remember very well from my FBI days how many homeless live on the street, and I have a ministry we call Operation Silent Night, where we take coats and food, and we spend Christmas with those who have no family and no homes. Nancy: Can you tell us a story from someone that you’ve met or a particular experience from Operation Silent Night that has been a blessing to you? Sue: I think for myself, I was still strong enough where I was walking on my own two feet at that time. We had a group of Amish women from Pennsylvania that made beautiful homemade comforters for us to take. He looked up at me, and he shook his head. I opened the comforter, and I bowed down and covered his body. I came to his feet, and I tucked them in. He was just weeping, and I thought, This is the greatest Christmas gift that I’ve ever had in my entire life. I saw another ordinary man that was about four-feet something and couldn’t speak any English. When we gave him food and a blanket, basically, he sat it down, and he put his hands together, and basically kept bowing and bowing and thanking us with tears streaming down his face. Just to see a light in their faces and the thankfulness . . . We hold them. We pray with them. There’s no better Christmas. I know that you have a burden for revival in the Church, for God’s people to return to Him. Can you talk about that? Sue: This is a two-edged sword. I bring it out and speak truth about revival. I don’t hear, but God has allowed me to see. I remember as a child, the doors opening and me walking through the big sanctuary and seeing people with their head bowed, older men and women, praying with tears coming down their faces. I remember the stillness. I remember it being a totally different kind of place than I had ever entered. I remember sitting on the pew. As a deaf little kid, I remember those big vibes coming up from the pew and everybody stood up when the organ played. It’s gone. I’ve wrestled with that and think, Are our churches no longer the sanctuary? Were they never supposed to be the sanctuary? Is the sanctuary where we come before Him in humble adoration and prayer? What is the Church? I say today it is one of the greatest social institutions of all time. You go into the sanctuary, and you take the Starbucks with you. It’s just all fellowship and good cheer. Nobody really is preparing their hearts for the message the pastor received. Maybe I’m old-fashioned, but I think to myself, Lord, how will they ever hear You? How will they ever respect You? The life I see in our nation the way it is and our country the way it is, we’ve lost respect for each other. Why should we be surprised that if we can’t respect God, how will we ever respect each other? There will only be a revival in the Church when there is a revival in each individual person, and it starts with me—it starts with me. I have a real burden. Nancy: As I’ve listened to you today and over these past few days, there’s a freshness. As you tell your story, your heart is still tender. Some of these things happened many years ago, but your love for Jesus is so fresh, so evident. How do you keep that? Sue: Years ago I first stated I loved Him by understanding that He saved my life. At the age of thirty-five, I entered eternity. In my spirit, I’m eternally thirty-five years of age. But I’ve shared with you, I didn’t know the Word of God. I couldn’t understand how God was putting me in all the mega-churches and all these churches just to tell the story of what He has done for me—a woman that really didn’t understand the Bible. In the past thirty years, the more I understand the Bible, the more deeply I draw in love with Him. Sue: I’m reading a book right now. I’d like for every Christian to have it—it’s out of print. It was written in 1950 by L.E. Maxwell, Crowded to Christ. So as I read these pages, as I read the Word, I become more alive. If I had the love and the passion then, now I have it with the Word, and it just keeps getting better and better. I’m just going to burn up. You’re just going to see that shooting star ablaze throughout the night, forever for eternity. (laughing) You’re not going to be able to shut me up, Nancy. Nancy: (Laughing) I don’t think anybody wants to shut you up. Would you speak to a listener who has been hearing your story but maybe this listener has a disability, some baggage, like you did, something that they resent, they hate, that is a part of their life. There’s bitterness; there’s anger. They think God made a mistake with their life. Would you just say something that would encourage and direct a person in that condition? Sue: I think each of us comes to a crossroad where we have to face the truth. This is life. It’s either truth or it’s a lie. We can fool ourselves. We can fool the world. We can lie. But we will always be miserable. We will always blame the other person. We will always cut down the other person. But if we can face the truth, as far as who we are, truly, who we are . . . The sin that we were born in, conceived in, if we can face that, to be able to die, to totally let go, to find the life, we can’t possibly imagine what God has in store for us. I truly believe that God’s plans are not to harm us, but they’re for our good. No matter what happens, it’s for His glory and for our good. Twenty years ago I built the condo for my mom and my dad to live in. I picked out a beautiful, little maple tree. It’s so strong and so straight. And for twenty years it has grown and grown. It needed to be trimmed underneath. It needed to be shaped. I didn’t see it until it was all done, but they took that sturdy maple tree of twenty years, and they sawed off all the branches. It looked like a carrot top. Now, normally, in my older days, I would have had a melt down. I would have cried. I would have been angry. But I looked at that tree—it was sad—but I was able to say, “Praise You, Lord Jesus Christ.” He allowed it, and obviously He allowed it for the years to become better to endure. No matter how small the situation, no matter how large it may be, if He hands it to us, if we can immediately throw it back to Him with praise, our nose isn’t going to be out of joint; we’re not going to get that pit in our stomach. I could see them getting all straight in their chairs and everything. I knew they were thinking about The Great I AM—the Alpha and the Omega. I could just see their faces. We go back to the Source—the Source, Jesus, Jesus Christ is our everything, our all. So you ask, “How can I keep going?” It’s not me. It’s Jesus within me. He has my path charted. The good will come. The bad will come. Everything comes from Him. The day I accepted that, Nancy, nothing but nothing can touch me. Nothing can harm me. I mean, what a journey! Nancy: Sue, this has been so rich, so wonderful. I love you. I love your heart. I love the Jesus I see in you. I know that many of our listeners have been encouraged, challenged, strengthened. I think they’ve probably had to use some Kleenex along the way because tears have been flowing in this studio, but also as people are listening to your story. If you’ve missed any of the programs this week, I hope you’ll go back and listen at ReviveOurHearts.com. We’re able to bring you these kinds of encouraging, real-life stories, thanks to listeners like you who give and make Revive Our Hearts possible. When you support the ministry with a donation today, we’d like to send you the brand new 2018 Revive Our Hearts wall calendar. The theme this year is, “The Truth That Sets Us Free.” Each month you’ll be able to go to a new page and read a quote from my book, Lies Women Believe and the Truth That Sets Them Free. This book has been recently updated and expanded and will be released early in 2018. And something really special about this year’s calendar is that a young woman whom I’ve known since she was just a little girl provided the illustrations in water color and calligraphy. It’s been a joy to see Maggie Ward grow up and become a beautiful young woman of God and using her gifts to serve the Lord and others. There’s even a page in this calendar for December 2017, so you’ll be able to hang your new calendar up right away. When you call to make a donation of any size to Revive Our Hearts, be sure to ask for our 2018 wall calendar. The number to call is 1–800–569–5959. Today is the final day we’ll be letting you know about this offer, so be sure to give us a call today to make your donation. You can also visit ReviveOurHearts.com. 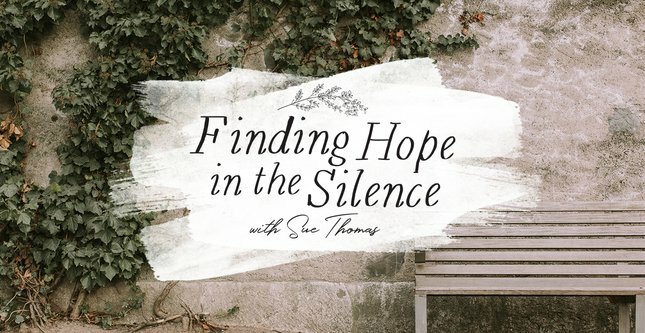 A Revive Our Hearts’ listener named Liesl experienced a lot of hurt in a relationship with both her grandmother and her mom, but the Lord showed her that she didn’t have to be trapped by their examples. She discovered how to honor those women and begin a new legacy. We’ll hear her story tomorrow here on Revive Our Hearts. Revive Our Hearts with Nancy DeMoss Wolgemuth wants to spread the truth that sets women free. It’s an outreach of Life Action Ministries. Previous Program Haven’t I Suffered Enough?